Hardscaping installed before your landscape lighting or garden project will bring in all the character without undoing any of the work. A keen eye on thoughtful hardscapes easily make your area a four season playground. Your outdoor world, and the value of your home, only gets better with the addition of an outdoor kitchen and dining area. 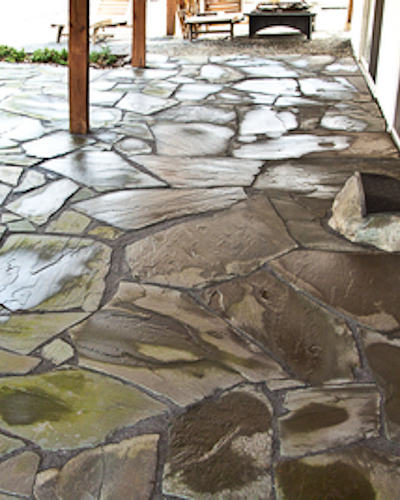 Interior and exterior decorative concrete is simply amazing stuff. You can use it in kitchen and bath countertops, sinks, basement floors, walkways, ponds, swimming pools, patios, just everywhere. 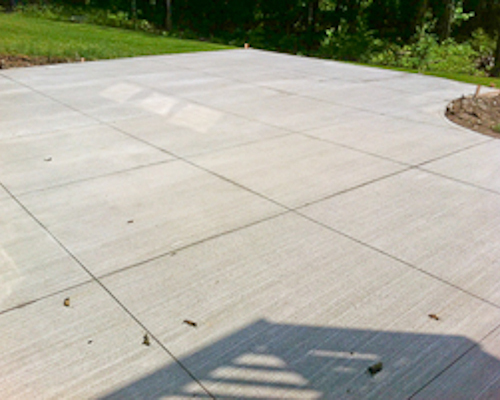 All your landscaping and garden decorating efforts will be complemented with concrete. For example: glow in the dark concrete uses phosphorous to give it its illumination and gorgeous curb appeal. Concrete stamps come in a wide variety of styles. These can be used for new concrete projects or concrete overlays. 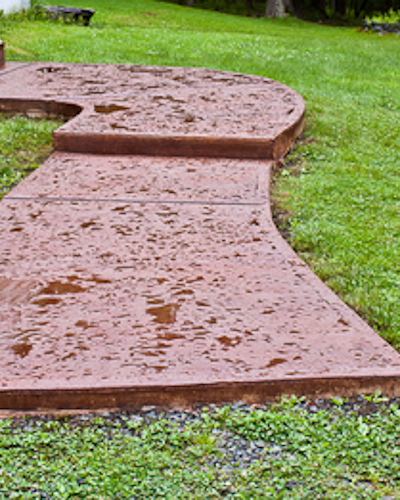 For existing concrete, we can make decorative pattern cuts to increase the appeal of your sidewalk, patio, or driveway. 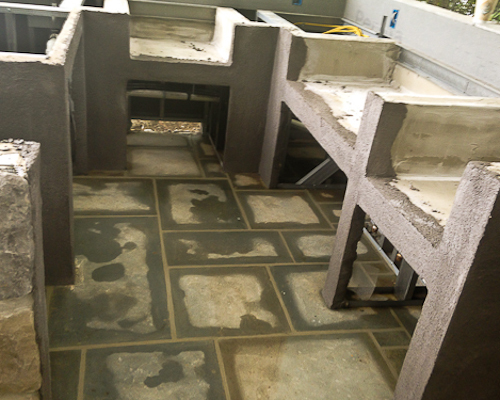 ​Concrete stains are also an option to boost the appeal of exiting concrete. Call us for a free consultation on your new or existing concrete project! Patio furniture is only as good as the patio it sits on. When considering the design of your patio, take into consideration the existing features of the surrounding areas and any future wish list improvements such as gazebos or pergolas. With a little design forethought, your paver, stone or concrete landscape projects will stay beautiful throughout the year. Stone is one of the original building materials. It is timeless and durable. Current building trends use natural stone: in every room of the home and in every corner of the yard. From small pink granite accent pieces to bluestone landscape boulders, you don't get cleaner or greener then this. 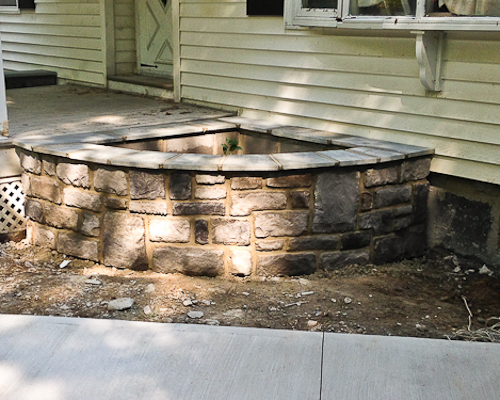 ​Local quarries are regularly making treads for steps, patio stone, decorative boulders, retaining wall stone, and much more. 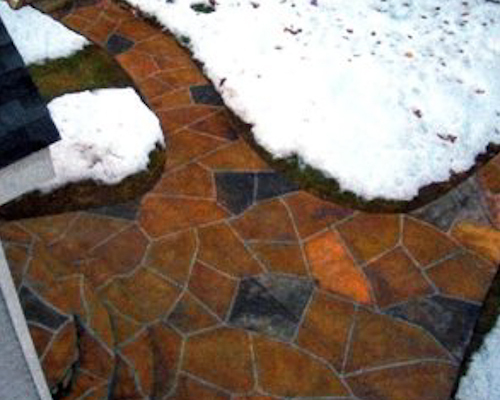 Stone art is a wonderful way to enhance yards, gardens and driveways in a long lasting way. Beautiful projects often start with gravel landscaping. 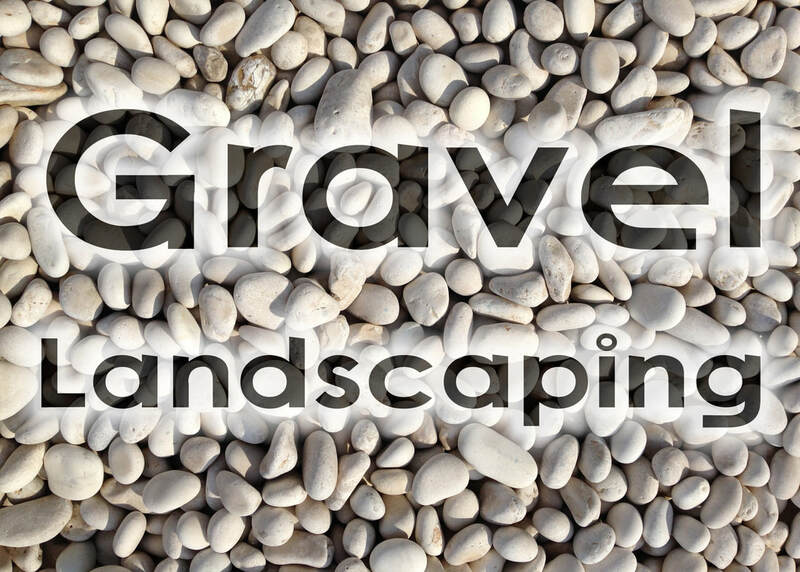 ​Gravel can be used for large and small landscaping projects. It lends itself well to driveways, walkways, and foundation skirts, as well as decorative borders for trees, shrubs, and fencing. Outdoor living often includes sculpting your landscaping to make the most of frequently used areas. Retaining walls are a wonderful element to add to your landscape design. Retaining wall blocks come in a wide variety of colors and textures to blend in with your current landscaping, or, add some ‘pop’ to your home’s curb appeal. ​These projects are often simple, always long lasting, and certainly add to your home’s value. A healthy family home includes healthy landscaping ideas. Visit our tick resistant landscaping site for information about reducing your exposure to tickborne illnesses such as Lyme Disease. National Association of Realtors: "5 Tips for the Ultimate Backyard"